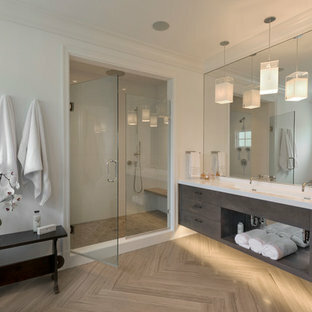 The spacious master bath features a floating dual vanity of gray cerused oak with white countertop, wall mounted polished nickel fixtures and natural stone flooring in an oversized herringbone pattern. 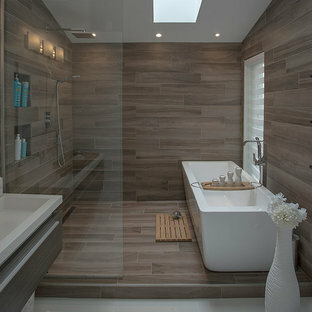 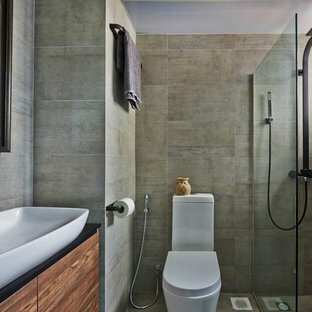 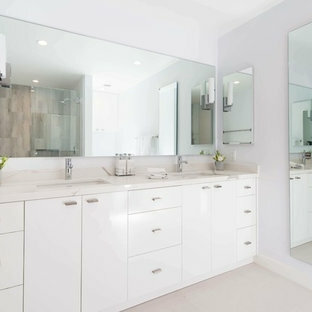 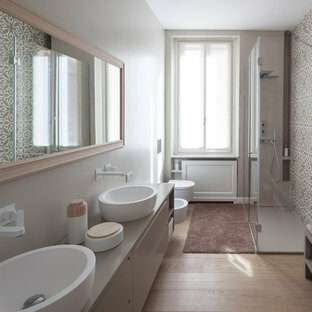 A small yet stylish modern bathroom remodel. 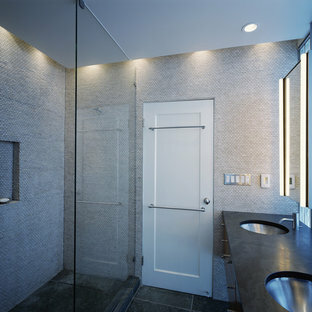 Double standing shower with beautiful white hexagon tiles & black grout to create a great contrast.Gold round wall mirrors, dark gray flooring with white his & hers vanities and Carrera marble countertop. 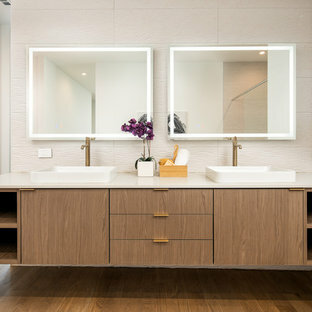 Gold hardware to complete the chic look. 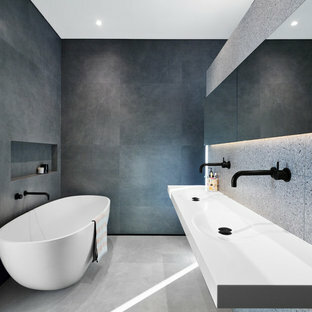 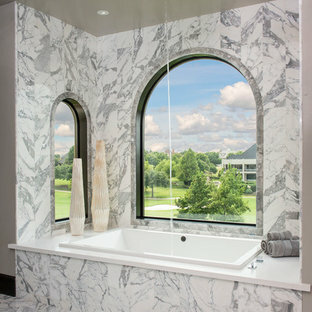 By New Jersey Tile & Stone Inc.